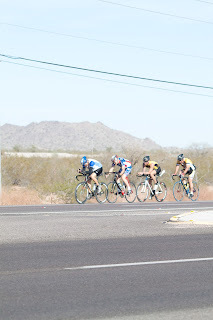 The 6th annual Casa Grande Cactus Pedal was held on March 12, 2011. 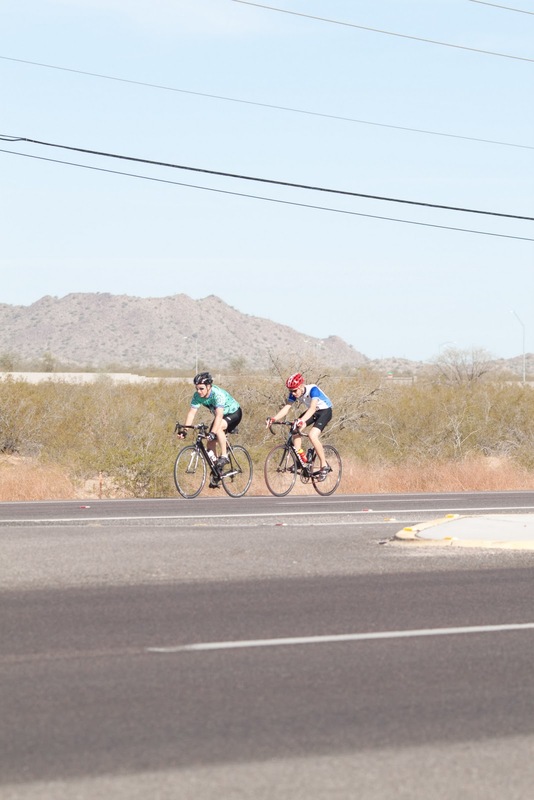 Phil, my cousin Steph, her boyfriend Dan, and I headed out to the corner of Pinal near Vaquero’s to watch the lead packs ride by. Mostly Gene Yang Gang jerseys out in the first few groups! 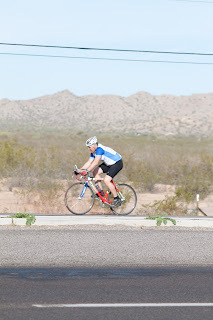 It was a beautiful, clear spring morning, and not too hot (but of course I wasn’t bicycling 27 miles :)). Here’s one of the Burns’ boys (I’m not sure which one, sorry guys!) 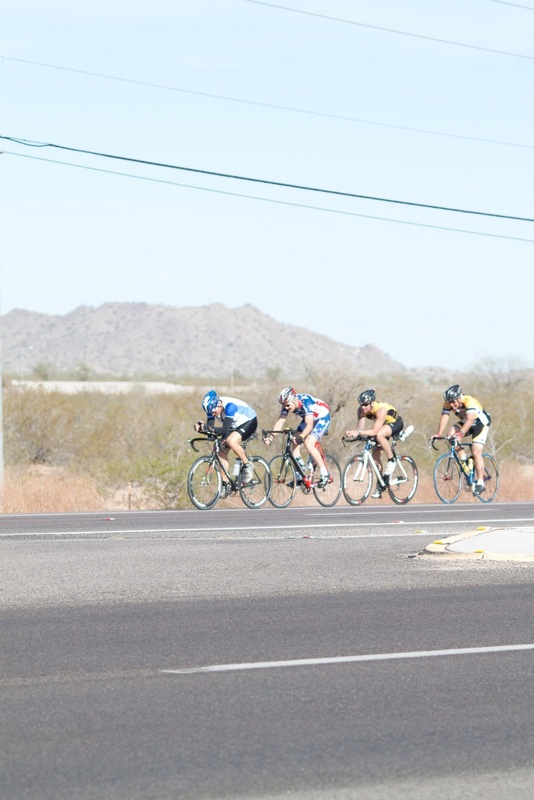 wearing a UMC jersey, in the lead. 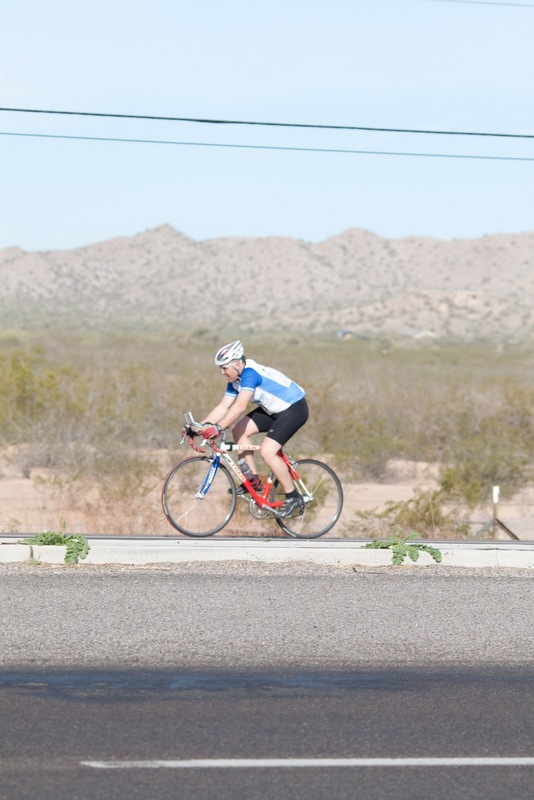 Here’s Mike Briscghe in the GYG jersey, leading the second group of riders. I’m pretty sure that’s Kevin Burns right behind him! 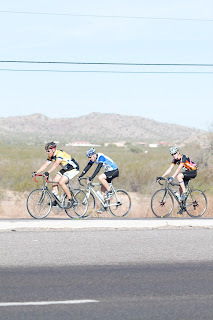 In the third group: some guy, local rival Jeff Mitchell (GYG jersey) ;), and another Burns’ boy right behind him. Wes Baker and Kenny Douglas were next. 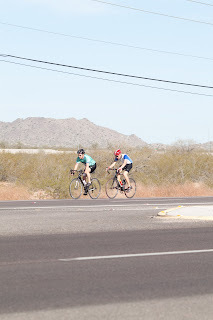 Great ride, guys! Way to make my dad proud. Click here to see the rest of the photos (you may have to request membership)! 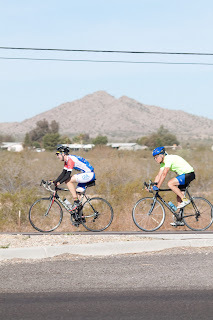 Did you ride in the Cactus Pedal but we missed you? Please let me know and I’ll upload your photos next time! 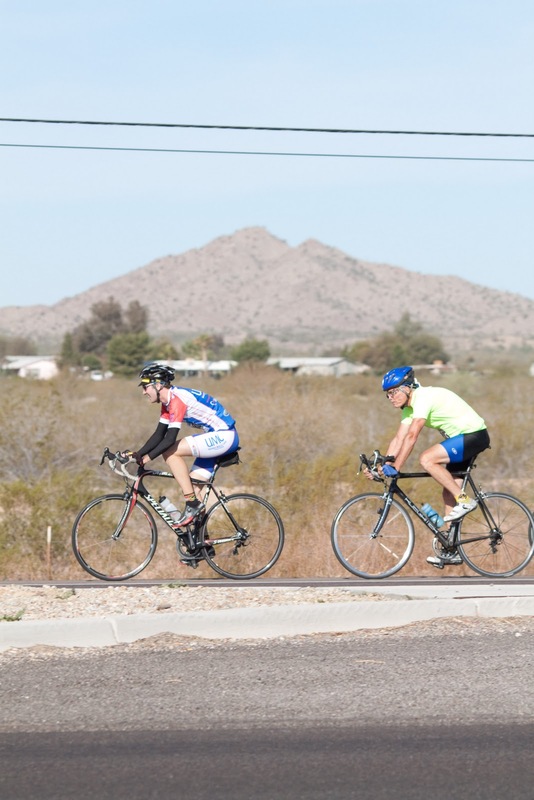 Any rides or hikes coming up soon? Let me know and I’ll add it to the schedule. Thanks! !